My college years were spent exclusively studying the past. I majored in History, emphasis on European Ancient to Renaissance, emphasis England, with a minor in religious studies. I had some amazing professors who eschewed force feeding students names and dates in favor of telling stories, including the more scandalous ones as tantalizing dessert on top of the potential dryness of historical regurgitation. I was so lucky to have these resources in this regard; people who had a great passion for their field as opposed to those who just go through the necessary motions to propel students along their grand collegiate path. I adoringly soaked up every detail about the Plantagenets and Tudors, Romans and Greeks, Constantine and Charlemagne. So much bravery, so much weakness, so many amazing tales to tell. I chose my major due to a fierce craving to learn the timeline of Western civilization...but as the dates crept closer to present time, I constantly found myself losing interest. With the exception of the Battle of Culloden during the Jacobite Rebellion in Scotland in the mid-1700s, the French Revolution later that century and the latter years of Victorian England (Jack the Ripper, obviously), I have almost zero interest in anything after 1688, the year William & Mary took the throne in England during the Glorious Revolution. After that, I feel as though everything dissolves into politics. Romance dies, modern governments develop, my passion fades…and a nation is born. American History 101 was the only class I ever took on the topic, and I barely passed it with a B-. It was a prerequisite course for graduation. I had a professor who was something of an intern and nothing he said sparked or inspired in any way. I did the bare minimums and put it behind me forever. In the decade since graduation, I have read some historical fiction regarding the American Revolution or the Civil War, but it still fails to be anything other than ho-hum, gun-wielding, political teeth-gnashing greed over the right to own land and people in my eyes. Persecuted English folks move to a free land to turn around and persecute natives and burn people at the stake. So much conflict, so little resolution. New America is still such a baby, in terms of the great timeline, and I spent enough time sitting on top of Kennesaw Mountain in Georgia, attempting to experience the same feeling I get when I sit on a bench on the Royal Mile of Edinburgh, Scotland, to know that the latter evokes strong emotions in my core while the former completely fails to engage. I have no great love for American history, yet have an enormous pool of love for European history. 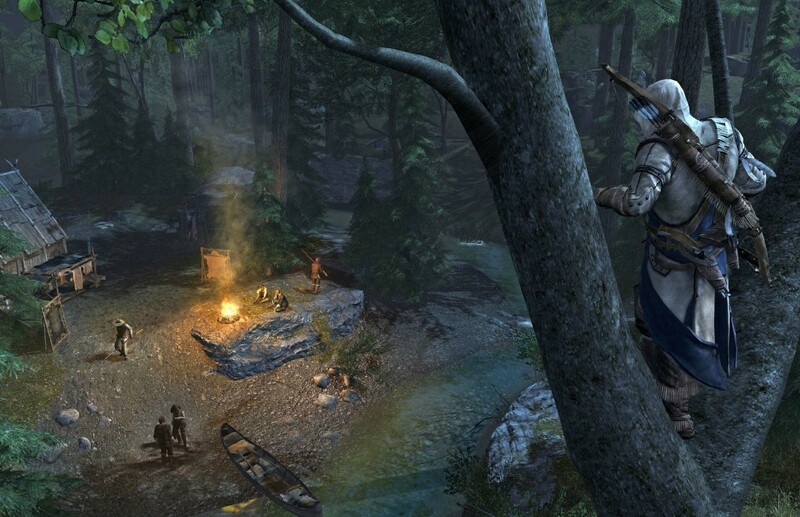 Because of this, my initial reactions to the news about Connor and Assassin’s Creed 3 were fairly negative. For the first couple of days after the press release, I was sure that my golden days of Assassin’s Creed were behind me, Altair and Ezio’s stories so intertwined with my love of their time periods and settings that to separate them in any way would obviously mean death for my adoration of the series. My first impression was ‘I hate this so much.’ I was totally the girl crying about the cities and how the American setting would ruin my experience, as climbing ship masts and tiny church steeples was nothing like seeing Rome from the top of the Colosseum or Istanbul from Hagia Sophia’s spired heights. I pouted about the bow and arrow combination and snickered at the precious logo on the top of Connor’s tomahawk, saying things like ‘didn’t we just play Read Dead Redemption?’ and ‘assassin’s shouldn’t be involved in battles, they should be subversive and trying to undermine both sides’. Such a whiny jerk, I know. Even though I knew the new game wasn’t going to be in the French Revolution setting I craved, I guess I just wanted the developers to stay within the confines of my own desires and wishes, keeping it in Europe and outside of the range of gun-heavy warfare. Deep, heavy sighs ensued. But then I started to have a change of heart. I mean, really, the only person I am affecting here is me, and my lack of open-mindedness is pretty boring. So, instead of continuing to act like an entitled brat about the new game, I am going to let go, embrace Connor, and see the game as the potential gift that Ubisoft is giving me: a chance to experience the American Revolution from an interactive standpoint, thigh-deep in a story I already am utterly devoted to, in order to feel the same way about a time in history that I would have otherwise ignored in favor of my comfort zone. "History is this big challenge," creative director Alex Hutchinson says. "It's a huge, rich resource to mine. But then, half the time, it doesn't do what you wanted it to do. 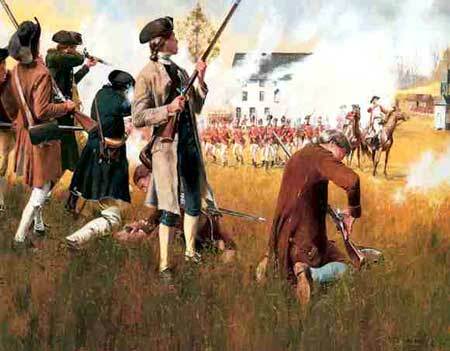 People didn't die a lot in the revolution. Common people did. Famous people did. Finding people to kill was six, seven months of reading to find people who died…Every assassination target is a real person who dies at the right time at the right place. How they died we'll let you get a little bit artistic." It’s easy to forget how much these guys care about the historical aspects of the franchise when it isn’t set in the historical context I wished for all year long. But they do. And that matters to me, as both a fan and great lover of the past in general. I am the girl in the movie theatre who decries all of the minor mistakes filmmakers make when portraying past figures (number one complaint: perfect white teeth on everyone), so it’s very important to me that even when taking liberties with historical narratives, that most of the recreations are painted by people that think these details are important. And I believe the creative folks do care about these things – they make it a point to care every time. And this matters. 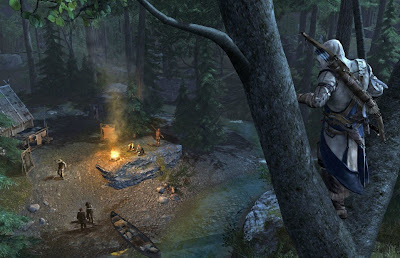 If the people that loved Brotherhood enough to bring life to a virtual Rome, circa 1499, are the same people loving Frontier America from 1753-1783, I feel like I am in a great position to see this new world of the assassin through their eyes, and potentially fall in love with a time in American history that I never would have immersed myself in for any other game series. Even if it means climbing to the tops of trees like a spider monkey rather than basking in the view of Jerusalem from Solomon’s Temple. Although I still think the logo tomahawk is ridiculously precious and pray that Desmond's story doesn't take place in first-person perspective, I am now a much more open and willing pupil, eager to help Connor on his trek through an America on the brink of Revolution in October. As long as I continue to have access to a hidden blade, all is right between me and my beloved Assassin’s Creed.